Houston, TX & Bothell, WA—Clovis Point Capital, LLC (“Clovis Point”) announced today that it exited a majority of its position in MediaPRO Holdings, LLC (“MediaPRO” or the “Company”) via a majority recapitalization (the “Transaction”) with Frontier Capital (“Frontier”). MediaPRO, a Bothell, Washington based SaaS-based provider of security, privacy, and compliance awareness training solutions. Frontier Capital is a Charlotte-based growth equity firm focused exclusively on software and tech-enabled business services companies. The Transaction resulted in approximately a 5.3x multiple of invested capital and over a 100% internal rate of return on Clovis Point’s investment. 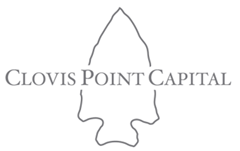 In 2015, Clovis Point partnered with the then CEO, Steve Conrad (“Mr. Conrad”), and made a growth equity investment in the Company to support the execution of many of its long-term growth strategies, including continuing to expand upon its product and service offerings, pursuing various organic and inorganic growth opportunities, and growing its sales, marketing and technology talent. “The Company was a perfect fit for us as Mr. Conrad had developed an extremely impressive business over a 20-plus year span, and it was at an inflection point in his company’s development life-cycle where he needed growth capital and some strategic support in executing the next phase of the Company’s growth. Partnering with Steve and his team gave us the opportunity assist them in successfully navigating that growth phase and enabled all of us to realize the significant upside of the Company.” says Robert Shuford, a Managing Partner & Principal of Clovis Point. Clovis Point is a Houston, TX based lower middle-market private equity fund that focuses on making both majority and minority growth equity investments in software and technology-enabled business services companies. Clovis Point is a relationship-based investor, utilizing its experience and expertise to help companies realize their full potential. For more information, please visit www.cpcap.com.